In an Office 365 world where the publicity seems to be perpetually absorbed by Teams, it’s nice when an old program suddenly turns up and does something different. Outlook, first released 22 years old, is the old dog, and background moves is its new trick. Background moves means that when you move items between folders, Outlook doesn’t display a blocking modal screen to display progress of the moves (“moved 100 of 1000 items…”). Progress is interesting, but while the move happens, Outlook won’t let you do anything else. This might have been OK in 1997; it’s not acceptable for modern software in 2019. To be honest, I don’t use Outlook often to move hundreds of items between folders. I might have in the past when it was more common for people to organize their mailboxes into a set of carefully-planned folders. Or when I needed to move items out of my primary mailbox to a PST because of a restrictive mailbox quota (my first Exchange mailbox quota in 1995 was 25 MB). Today I don’t bother much with folders and most email stays in the Inbox and Sent Items folders until it’s moved to my archive mailbox. My lack of attention to folders meant that I didn’t notice Outlook’s new trick until one of my MVP colleagues pointed it out. Using Outlook ProPlus (version 16.00.10903 or later), if you select a batch of messages and move them to another folder, Outlook performs a background move and lets you get on with other work while it completes the move. All you see is a progress bar at the bottom of the main Outlook window. This works for clients configured in both cached and online mode. The most valuable thing about this feature is that it makes it feasible to move large numbers of items from the primary to the archive mailbox. In the past, this was a real pain, especially when Outlook is configured in cached mode. Now – well, it just works. The change is only available in Outlook ProPlus (click-to-run) and isn’t available in Outlook 2016 or Outlook 2019. This might change in the future. It’s surprising that a vintage program like Outlook should gain such a fundamental improvement at this point in its lifecycle. After all, Microsoft dedicated enormous effort to making Outlook a better network client in the Outlook 2003 release, which introduced the ability to synchronize the entire mailbox and a batch of networking smarts using multiple threads. That all seems so long ago now, back when connecting to Exchange invariably involved some odd whistling noises over a telephone connection. In any case, it’s nice that Outlook now finally addresses an issue that some people have complained about for a long time (not enough people, obviously). 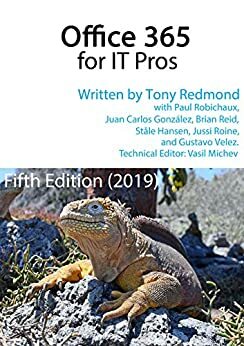 For more information about Exchange Online clients, including Outlook, read Chapter 10 of the Office 365 for IT Pros eBook.